Recall that Imo state governor, Rochas Okorocha had on Saturday said three governors from the region were set to defect to the APC. But, the governors have challenged him to name the governors he claimed were in talks with him, reports Vanguard. Anambra governor, Willie Obiano, currently a member of the All Progressives Grand Alliance (APGA) said the APC had failed at the level of the federal government and could not inspire the governors to join the party. 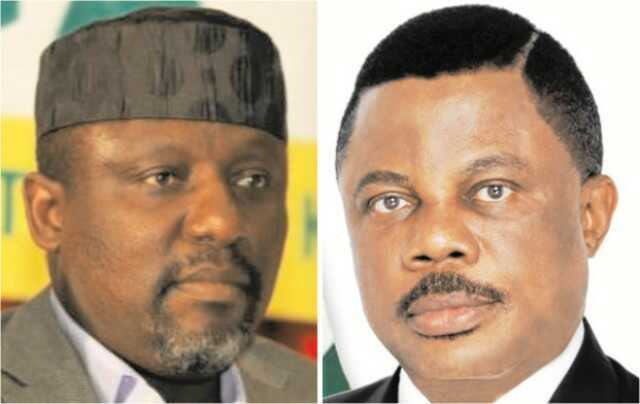 The governor of the State, Owelle Rochas Okorocha has read with regret the media attack on his person by the clueless governor of Anambra State, Chief Willie Obiano over a harmless statement he made at the APC Stakeholders meeting in Owerri that three governors in the South-East would soon join APC. That Statement didn’t call for insult or any foul language. And two responsible governors in the zone, the Enugu and Ebonyi States governors were quoted to have reacted to Governor Okorocha’s Claim and as decent men, made their points without attacking the Imo Governor. But Governor Obiano of Anambra State spoke to justify or authenticate the general impression about him that he is an aggressive governor, who should have done better as a militant than as a governor. While reacting to Governor Okorocha’s innocuous Claim, Governor Obiano said, the Imo Governor “is an example of what a leader should not be”. That kind of motor park language was unexpected from a governor of a State who answers His Excellency, even when the Anambra Governor did not explain what he meant by that. In what way was Governor Okorocha not an example of what a leader should be? 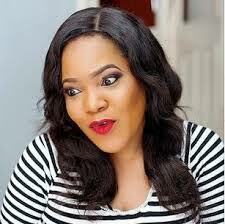 Governor Okorocha’s Claim was a healthy one, expected to provoke sound debates, which is the beauty of democracy. Governors with ideas and the right exposure gave their polite reactions, but the one without ideas (Obiano) took to insults. Only men with nothing to offer in terms of ideas take delight in insulting others. Men of ideas do not insult others. Leadership is all about ideas and service. Luckily enough, Obiano has been governor for almost four years while Okorocha has also been governor for five years now. Let Obiano publish his achievements in Anambra State even with high IGR, and let Governor Okorocha also publish his achievements in Imo. Then, we take off from there. As governor, Owelle Okorocha came up with ideas and popular Policies like free education at all levels which has been working well in Imo, Community Government Councils (CGC), Urban renewal programme, Ikuola Nkwu, Imo Air, massive road networks, building of Universities, infrastructural revolution, and so many others, let Governor Obiano mention at least one programme his government in Anambra State is known for, almost four years as governor. We may at this point, Challenge Journalists from the South-East to embark on project tours of Imo and Anambra and make their findings known to the public. Obiano no doubt, has taken Anambra State several kilometers backward, while in Imo, Okorocha has raised the bar of leadership or governance. To say the least, Comparing Okorocha with Obiano is like Comparing Messi of Barcelona FC with the left wing player of Mberi Secondary in Mbaitoli LGA of Imo State. Infact, beside Politics, Nigerians have known Okorocha even long before now as a successful businessman, an outstanding Philanthropist, an orator per excellence, but what should one say about Willie Obiano except that some godfathers brought him from nowhere and made him governor. Governor Okorocha made APGA tick in Imo that was Predominately PDP and moved to APC and also proved his sagacity. But Obiano has made APGA a toothless Political Party in Anambra that can neither bark nor bite even in a State that should be its catchment area. He has not added any colour to the Party and he seems to be stranded. Hence, his regular resorts to insults. Again, Anambra State that produced the first Nigeria President needs a digital governor and not an “analogue” governor or one who staggers thinking about which leg to put forward first. Finally, in Imo we do not have the record or culture of insulting people, but we do not shy away from undue provocation or undue attacks.